100cm Wide. 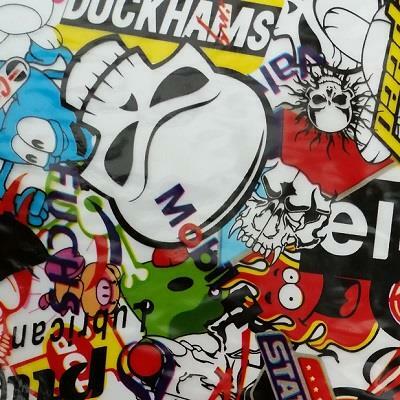 MotorSport Logo Sticker Bomb design. It's been about for a while but still popular.